It’s time for another round of the Arks Museum, and this time they’re collecting screenshots from Playstation Vita players. Screenshot entries chosen to appear in the Arks Museum Character Portrait Report will receive 1000 FUN, a thanks medal, and a 3 day my room pass. These will be sent to your special storage box at a later date. Character Portrait is a Vita exclusive feature that allows you to take real life photographs with your Phantasy Star Online 2 character. Head to the Visiphone and select the last option ポートレート用データ保存 to save your current character into the Character Portrait feature. The first screenshot is the main entry for this event. You may use characters or NPC Partner characters saved to the Character Portrait feature. If a person is included within the photograph, avoid taking a picture where most of the person’s face and body can be seen. 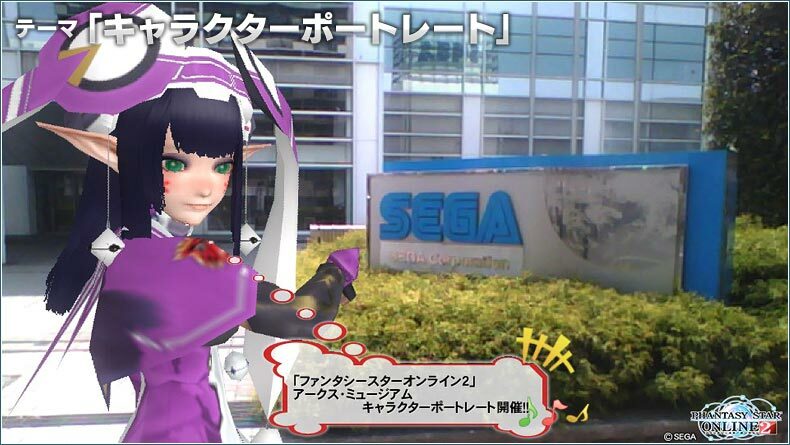 Since Sega can not bear the responsibility of a person who refuses their likeness to be photographed, one must gain consent from the individual themselves before submitting the photo for this event. You may opt to use chat bubbles or character poses within the screenshot itself. 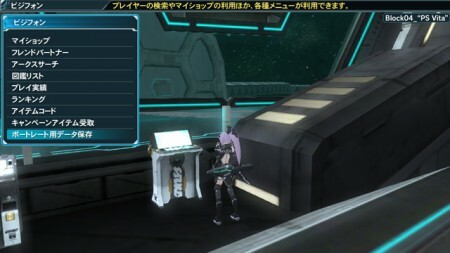 The second screenshot must include the Player ID Name above your in-game character. Screenshot submitted must be original and not released to the public. Please avoid cropping the screenshot. The screenshot must be submitted as a JPG up to 1 MB in size. The image should be taken in landscape orientation. You can submit your photographs here. Everyone who spends 100 AC during the campaign period will receive several prizes. In addition, everyone who spends 3000+ or 5000+ AC will get even more prizes. Deleting characters who have met the conditions for this campaign will not receive the prizes. Everyone who clears the emergency quest “Approaching Dark Arms” will receive several items. To give you a head start, each emergency quest will appear on all ships at the following times and dates. Everyone who clears the emergency quests, “Huge Mech Awakening (Big Vardha)” or “Subdue Fang Banther” will receive several rewards. During the campaign period, clear the following client orders from Klotho or Franka to receive special items!